iD Expert Form are anatomically-shaped pads offering an ideal solution for managing moderate to heav..
ID for Men are an individually wrapped pads ideal for managing light to moderate urinary incontinenc.. The Light-Extra range is dedicated for women suffering with light icontinence, and who expect to use.. The Light-Maxi range is dedicated for women suffering with light icontinence, and who expect to.. The Light-NORMAL range is dedicated for women suffering with light icontinence, and who expect to us..
ID Slip for strong incontinence and night care with especially high absorbtion. The diapers have..
Night time disposable pull-on pants for Boys & Girls between 35-60kg. 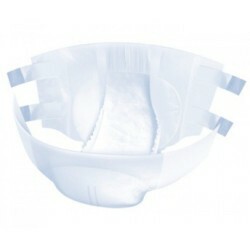 Wearing and looking almost..
LILLE Disposable pants offer tremendous benefits for both users and carers. 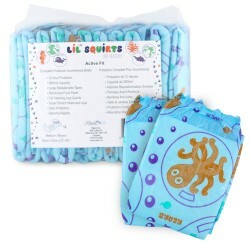 They are very easy to ch..
Slip diaper with a pleasant smell of aloe vera and unique Dermo tires, which also protect the skin. ..
Absorbent diaper briefs with a smooth, soft textile-like buitenz?de with breathable z?panelen up to .. 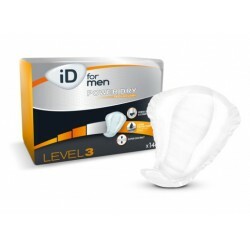 The reinforced ultra absorbent layer provides high suction power and retains moisture tight. The.. Thick night diapers with print for adults. With plastic outer layer, side leakage protection b.. Thick night diapers with print for adults. With plastic outer layer, side leakage protection by ..
Limited edition test run of printed vintage style single jumbo tape briefs by Rearz. The single tap.. Heavy night diaper with about 4400ml absorbency. Super Seni Quatro Air with cotton feel coatin..